The much-advertised cold is here, and in our view it's been a very well-predicted cold wave. There's some talk among forecasters of a little light snow later this week, but clearly the word of the week is C-O-L-D.
A blog note: I understand there have been some problems accessing this blog and/or making comments. I'm note sure what's going on as I'm simply using Blogger as I always have. I've heard that there may be problems viewing it with Explorer so you may wish to try other browsers. The funny thing is, Bill, now it works fine with ie8. It is still rendering the other thread incorrectly, but this one works. So weird that certain threads would work and others wouldn't. Bizarro. I don't want to start a holy war, but you're asking for trouble if you use IE. Get off IE and use a modern browser. It's easy to get used to new browsers... provided you have access to one. @Bill,same sentiment as bemaki,can't open the other thread,but this one is just fine,woo-hoo I can leave comments again.Yes it was plenty cold enough this morning,go away arctic and moderate into the 20's so that the Gulf can open up(maybe next Wednesday)serves me right to dog sit this weekend,took the big guy out this morning and the nostrils froze up. I'd watch that clipper, though. NWS made mention of possably it being a "plowable" event. Thursday clipper staying mostly north of metro,even then 2" at best for areas around St.Cloud,metro snows were dropped to only a 30% chance.I'm telling you no snow for the metro,listen to PD-when in a drought don't predict rain(or snow)! Look again Anonymous....NWS has snow likely wording for Thursday,even mentioning the possiblity of 3-5 inches,come on PWL do your snow dance,we need this to stay on track and not veer south or north. The rage on facebook was the windchill prediction from FOX showing windchills in the -40's @ 0700 and it didn't come true. The wind was just not there. Wind in STP (@KSTP Holman Fld) was calm. Wrong again and overly predicted. Waiting for the bus was a breeze. If there is precip in the forecast with temps at 10-11 for highs, then it's going to be a dry and light snow. Easy to shovel. Seems like windchill has been really overhyped for this cold snap. If you're sitting inside, windchill is completely meaningless. I can't imagine many people are doing anything but that today. I believe windchill information is equilavent to heat index in the summertime,and is a meaningful tool,believe it or not there are still many jobs that require you to be outside in the great outdoors.....I would take -5 degrees and calm wind,then +5 and 20mph winds any day of the week,its the wind that cuts right thru you,don't get me wrong they. Are both pretty damn cold days but a windy day makes it hard to wait for a bus or deliver mail. -32 wind chill @ MSP at 9:00 am on Jan 21. Air temp of -12 and NW wind of 14 MPH. Overhyped? I'll PayPal you $20 if you would just stand outside in that for 10 minutes. To be nice you get a jacket, but for $20 no hat or gloves. @MN WeatherFan, Disco80 couldnt handle more then 5 minutes even with a hat and gloves,remember he is a warm weather freak,always looking on the warmer side and snowless side of things,makes me wonder why he doesn't live in San Diego. With the exception of kids who have to wait outdoors for the school bus, I agree this does seem hyped. This is nothing—I remember one January when we had actual air temperatures of -30 and factored with the wind chill it was -100. (Of course that was under the old wind chill formula.) I had driven my car the night before, had to park outdoors, and my battery literally cracked in two! One local comedian joked, “I love Minnesota. 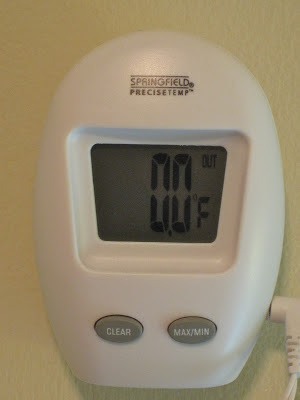 The temperature can go up 100 degrees and still be zero.” Mike Augustyniak of WCCO TV quipped this morning, “The difference between 30 below and 50 below is essentially nothing…it’s all REALLY cold…” I love that guy, no matter what the weather, he always makes me laugh. I realize that "back in the day" Minnesota saw much worse cold than we are seeing now, however I have to disagree that this one seemed hyped. The wind chills that we have seen over the last 48 or so hours is still dangerous, and has proved to be deadly in some cases already. Yeah it doesn't match up with those -100's or -70's or whatever but it is still bad enough to be taken seriously. Plus, it's been several years since we have seen temps like this. The wind chill headlines I think were handled appropriately, and overall the forecasted temps seems to be pretty close. I'm looking on Facebook for where they predicted -40's for wind chills in the cities, but I'm just not finding it. I'm only seeing that forecasted for northern MN and there were places that reached that. Anyway, we are almost through this little cold snap and temps moderate as we head into the weekend. Near freezing next week will feel amazing compared to the last couple of days. Burnt of snow system next week sails south and east of MSP! Again nothing to see here folks! Yawn...surprise...surprise! Wake me when spring arrives. Heck wake me up when winter(snow) actually arrives(aside from the one storm),the best word to describe this season is boring,not winter! OMG! The metro got a dusting,stop the presses! monday night was -14 for the majority of outlets including NWS we got -10. Today high was 8 for KSTP, 12 for NWS, 11 for FOX9 and we are already at 15 (as of 11pm)...I mean.. we are talking day 1 forecast and you miss by almost 100%..
Yea, it did seem like an unexpected bust... then again I guess they're all unexpected by definition. I don't recall the morning's dusting being predicted by anyone either? with traffic this morning one would have thought we got 12 or more inches of snow. Good god people...learn to drive. He even mentions that natural gas markets can react to long-range GFS runs!! Agreed GFS was way off on the temps, as shown in the blog but who really takes any forecast model at 360 hours seriously? Me personally and I think most forecasters don't take the exact numbers to heart, but more look at general pattern changes. One thing was consistent with the GFS and that was a change for colder and that change did in fact happen. Yes it was a big spread between what was forecast and what did actually happen but I'm not going to fault the model for being that far off at that forecast range. We could do that every single day with storms that show up at the end of the run just to go away with the next. That change did not happen. That was the whole point of the blog. It was predicting 40 degrees colder than average for Peoria. What happened was that Peoria was 11 ABOVE average. Nevermind the exact numbers being accurate. It got nowhere near any general pattern. It was wrong by 50 degrees. And very few of the forecasters I've read this winter include much of a disclaimer to that effect. Paul Huttner has recently begun doing it. I guess the point is...why forecast to 360 hours if it's going to be wrong by such an enormous factor? In fact, you'd do far better simply going by the average high and low temps for a given day you're trying to predict. I predict that our high temp for 23rd Feb 2013 will be 32, which is the average high. I'm probably more accurate than the GFS. Good question for the guys at NOAA I guess. Why have a forecast model that goes out that far if it will be that wrong? Somehow the middle of the country stayed warmer, where the north and south were below. Probably overdid how far south the polar vortex would end up getting. I'm just a little surprised that more of these articles haven't come out. Big snowstorms, big severe weather outbreaks, big temperature swings that show up only to be a complete reversal 24 hours later. I guess I'm just not surprised that it was that far off. @Disco80,sure the change occured,its not that hard to see/feel the change,case in point from 1/7 to 1/19 10 of those days were above average(in some cases 15 degrees above average)now with forecasted arctic air we have gone below average(in some cases by 20 degrees) and we will be below average for another 3 days,to be followed by 3 moderating days,to only fall back below average.The point that Duane and others are trying to make is dont follow the exact numbers just follow the trend,the GFS forecast was for colder the average temps and that exactly what we got.Now who cares about Peoria!,you live in MSP right,we are following the trends for MSP in this blog are we not.I agree the GFS numbers were off,but they nailed the colder then average outbreak,did they not? The GFS did NOT nail this current arctic outbreak. It predicted an outbreak last week that did not occur (in fact it was the exact opposite of arctic). You can't legitimately say that it "nailed" the current outbreak. Peoria was the city discussed in the blog. 3. Any storm risks being compleatly wiped off the map if it is predited more then seven days out. 4. Never assume any forecast to be the correct one, good or bad. 6. Forecasters, like any other human being, have a tendency to be lazy, and will somtimes look only at model runs to compile their forecasts, where had they applied their own knowladge, notice how plausable the model really is. 7. Mother nature does not care what the models say. Remeber, these rules apply to storms that both appear to hit AND miss. No storm is exempted. The clipper Thursday into Friday, while interesting, it really doesn't interest me that much. For the evening of the 27th, there is a chance of snow, although it may have some precip issues at the start, by the time it changes over it may yield 2-3" amounts somewhere in southern MN. system to forecast as noted by the winter recon mission's that the Hurricane hunters were flying in the Pacific. For the first time it looks like there is good consensus among the various forecast models. In no particular order of preference here is what they show. 1) FIM..984mb low passes from Lacrosse to Green Bay. 2) GFS..A broad 1000mb low passes over the same area. 3) ECMWF...996mb low passes over the same area. by a 100 miles or so. If this storm should pan out it will be quite the event from the Upper Mississippi Valley to as far south as the ARKLATEX area where a regional severe threat could unfold. And yet with all those tracks you mentioned,which is a snowlovers dream track,the NWS has mixed precip in its grids from Sunday thru Tuesday,amazing how the cold air disappears when along comes a storm,I guess the 'mid-atlantic' minnesota winter limps on! all significant moisture will be in the form or rain this winter (and all the future ones as a matter of fact). We will NEVER have another 10 inch + snowstorm in the twin cities. Maybe bold but I am sure I am right. We got a 12-incher back in December. Have you forgotten about that one already? Most of the snow we have right now is left over from that storm. No, I did not. I just said that was the last one. We'll never have another one. I hope the 12z GFS is really an outlier to its ensembles and the EURO, because it is a real slap in the face of a snow lover! 7 celsius at 850mb during the tuesday-wed storm!!!! What a debacle. Not even snow, just rain. Luckily it is also dry-slotting us so pwat is minimal. If it does not have to snow at least let it be dry. The title of this thread is perfect: Going Negative. Like so many of the posts on here! Yikes! Like Disco80 said, we got one of the biggest storms ever this winter and we are talking about NEVER having a 10+ snowstorm in the Twin Cities again? I know this was just said to be said and get attention, but so many of the posts are negative. Trends are trends. Winters can be cold and dry or warm and wet. That's what is perfect about weather watching. The models can't nail it, people can't nail it, and bloggers can't nail it. If it was a perfect science, it wouldn't be as fun. So.....let's all say Bring It and start our snow dance!!! the problem is that this winter has been cold and dry AND warm and wet. So all possible storms (except that fluke of a storm in December) featured mostly rain. An this will be the case again Sun/Mon and Tue/Wed. In January!!! We are at 17.4 almost at the end of January!!! This is not being negative this is realism. Like @snowmiser, people like me that moved to Minnesota just for snow and real winters have a right to be disappointed. This is not the Minnesota I was sold. Would you like to bet? clarifying I mean a 10-inch snowstorm (in a single event) not throughout a winter. I'll bet you my snowblower that I bought in Nov 2011 and has been used three times. I'll bet you that and the damn non-oxy gas I bought for it. Hey can I get in on that action as well Mr Never 10+ snowstorm......I would hate to pass up easy money! I just checked the forecast. That 60% to 70% chance of up to an inch of snow that was in the forecast for the Twin Cities even as of this afternoon sure did disappear in a hurry. The NWS is now calling for a 20% chance tonight. DD was on 1500-AM late this afternoon talking about expecting a slow commute tomorrow in the metro because of the snow. That's amazing. They can't even get the snow forecast right mere hours before the event is supposed to occur. Yeah clipper fell apart right in front of our eyes,too much dry air to overcome,amazing how when were cold enough for snow it cant snow and then we warm up too much to get mixed precip/rain,Twin Cities was suppose to be the southern extent of this clipper,yet its snowing down around Mankato and Albert Lea and nothing over the metro,I know it was only an inch,but another busted forecast. So the earlier post about a consenus around a Lacrosse track is not looking likely! Are we not going to exceed last years snowfall?,quite possible-----every snowless day that goes by is one day closer to spring! This strange but beautiful and rare white stuff is falling fast and furious from the sky! Babies are crying! Women are screaming! Men are fearful! It's kind of interesting. It's so windy and so dry that overnight snowfalls have twice this week evaporated by the afternoon of the following day. Winter Storm Watch in effect for Sunday,includes the metro! of course it is subject to change!reading the NWS morning discussion there is alot of uncertainity....nor does it help that were the northern most extent of the watch area,so I can see it being eaasily dropped later,I guess its a waiting game for now,I doing the dance Plymouth Weather Lover,god knows I need some wintery precip to move some winter related items. There was a winter storm warning issued for ice accumulations last year (at least for washington county). In addition, there is a lot of historical inoformation about ice storms affecting minnesota in january. Usually they will go WSW, then ice storm warning. They have changed their practices over the years. But I can't recall exactly how. The 0Z NAM really nails us with ice and sonw accumulations. GFS 12Z pushing ice slightly northward. Pardon my ignorance. I am sure there are many people here that know a lot more about weather than I do. I read that tomorrow's storm is supposed to travel from Colorado to southern Wisconsin. Isn't that supposed to be the storm track for heavy snow in southern MN? If so, why is it supposed to rain? Didn't this also happen earlier this winter where a storm went south of MN but it rained here? Am I missing something? Thanks! It's because of a sw flow above the surface about 5000ft up which will allow the precip as it falls through that layer to melt into liquid. The temps just above the ground to ground level should be just under freezing allowing any liquid that reaches the ground to freeze on contact. Thank you for your response, randyinchamplin. Is it common for a southwest flow to occur above the surface with storms that track south of MN or is this a relatively new phenomena? What circumstances cause the southwest flow to develop? It just seems like there has been an a lot of talk this season about rain. I don't really recall rain being such an apparently consistent element of past winters. Are there articles that you are aware of that I can read to learn more about this? I apologize for all of the questions. I am personally just discovering how fascinating the weather can be. Thanks again! The difference between the GFS/NAM is that the Nam closes a 850mb low of us for Sunday which should bring us the freezing rain and than about 2.5-3" of snow. But good grief, I really don't want to see a freezing rain storm. If the NAM is correct we could see up to a .25" of freezing rain...ugh!!! How can there be a winter storm watch and likely wording in the NWS statement when there is only a 40% chance of something on Sunday and 30% chance on Sunday night for Msp? I don't get it. WATCH MAY BE ADDED/REMOVED AS THE FORECAST DETAILS BECOME CLEARER. ADVANCED NOTICE WITH THE HIGHER TRAFFIC DENSITY. This came from the overnight AFD. Looks like they've gone with a Winter Weather Advisory. See new thread. Man what a complex situation setting up for tommorrow,yeah I know its not a snowlovers dream with all snow,but its going to be one giant mess on the roads if what the NWS says its going to happen. Immediate metro has been converted to a winter weather advisory and counties just south of us has gone to a warning,but if you read the NWS statements they pretty much say the something for the advisory and warning areas except for IF the change over occurs the warning area will get more snow then the advisory area......sounds to me that this will be an ever changing forecast until the precip gets going,still a lot of uncertainity.........stay tuned isn't what they always say. Yea, that it's weird. You'd like to see consistency with your NWS.